Do you think Bear Grylls goes out into the wild without everything he needs to survive? Hell no! After all, the Boy Scouts’ motto is “be prepared.” However, you can’t really carry everything you need for your next hike, camping trip, or mountaineering expedition. That’s why you need a durable and spacious backpack specially designed to carry all an adventurer’s tools in one convenient place. 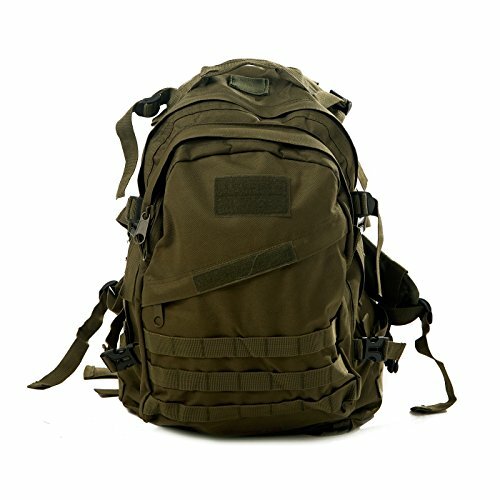 This thirty-liter backpack comes with multiple spacious compartments for storing your various supplies and secures to your back via adjustable chest and hip belts. The padded shoulder straps and breathable mesh backing insures that you stay comfortable even in the harshest conditions. In the worst case scenario, this backpack will allow you to become a born survivor and help you get out alive when it becomes a case of man versus wild!